There are quite a number of herbal remedies for uterine fibroids that are usually recommended because they can be effective and burdock root is one of the popular ones. But before you start using this herb in your fibroid healing regimen, here is a bit of information on burdock as well as why it is a possible natural cure for uterine fibroids. 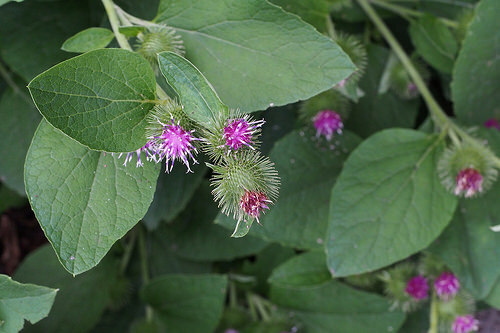 What is burdock (arctium lappa)? This herb belongs to the same family which includes dandelion, marigold and daisy and it is the roots that are used for natural healing although sometimes the seeds or leaves may be used. Being able to kill disease-causing bacteria and fungi due to the chemicals known as polyacetylenes that are found in fresh burdock root. Its use as a cough suppressant. Its anti-poisoning effect that is still not very well understood. Its ability to fight allergies. While some studies have shown that it may have some anti-cancer (anti-tumor growth) properties, more research is still needed in this area. When trying to determine whether this is one of the best herbal remedies for uterine fibroids, you need to consider the following two aspects of this herb that may help it fight against uterine fibroids. When you have a properly functioning liver, it helps to eliminate, waste, toxins as well as excessive estrogen in a timely manner. Being in a state of estrogen dominance is believed to contribute to the development of fibroids as well as the worsening of fibroid symptoms. Once the body eliminates the excessive amounts of this female hormone and hormone balance is established, fibroids will have a tougher time thriving in your body. Improving liver performance is one of the best ways to promote hormone balance and prevent estrogen dominance which is why burdock root is one of the top herbal remedies for fibroids. This goes back to this herb’s use to fight cancer. Several studies have shown that this herb contains certain substances (arctigenin) which inhibit tumor growth. Since fibroids are tumors (benign tumors) this herb may be able to help shrink and inhibit tumor growth. You can either use a tincture (alcohol extraction of the herbal properties) or decoction (tea made using root matter). Burdock has a sweet taste which is similar to celery root. To make a decoction, add about 1 teaspoon of the root to 3 cups of boiling water and allow it to continue boiling for about 30 minutes and allow to cool. Strain and drink up to 3 cups a day. For the best source for organic burdock root, click here. When you use a burdock root tincture, take about ½ a teaspoon to 1 teaspoon up to 3 times a day. Take burdock root for about 3 to 4 months because using natural remedies takes some time to work so you need to be patient. If you notice no changes after this time, you may abandon this remedy and try another method. While it can help to prevent allergic reactions, for some people, this herb can actually cause an allergic reaction. If this occurs, reduce the dosage or stop using this herb entirely. Pregnant and nursing mothers should not use this herb. Start with a low dosage if you are over 65 and build up if needed. Don’t give to children younger than 2 years of age. Do not use if you are on other medication before this herb and other herbs may interfere with the action of whatever medicines you may be taking. This is just a bit of information on burdock root and why it may be one of the best herbal remedies for uterine fibroids. For complete step-by-step guidance on shrinking and preventing fibroids using natural methods only including the use of various herbs, you need the Fibroids Miracle holistic guide. Find out more about this scientifically proven guide here. Prev Top 25 Best Health Affirmations To Help You Finally Eliminate Uterine Fibroids! Next Will Fibroids Shrink After Menopause? need help, with this herbal to help shrink fibroids. It doesn’t hurt to try but it works best as part of a complete fibroid healing regimen.